We released a useful DIXF Application Hotfix in October 2015 which you may not be familiar with, and as I’ve recently been looking into this for a customer, I thought I would share some details on this topic. 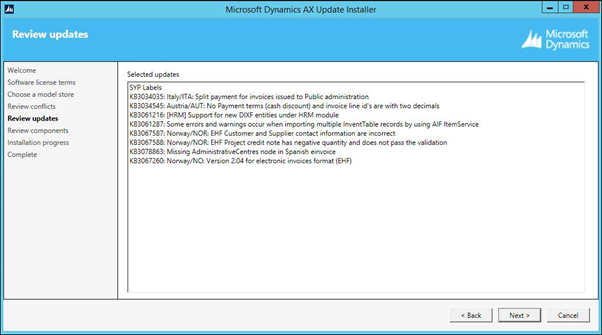 If you are running AX 2012 R3, then you can install KB3061216 and add a large number of new standard DIXF entities to your environment. 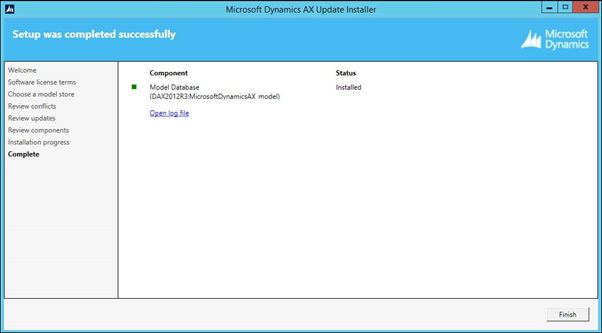 I’ve successfully installed KB3061216 on AX 2012 R3 CU9 and AX 2012 R3 CU10, for example. You install the fix in the usual manner. You need to complete the Software update checklist as usual, when the fix has been installed. I could not see the new entities in the list of Target Entities in Dynamics AX 2012 R3 at first, so I deleted all the entities there, and then opened the form again, which rebuilt the standard entities and made the new ones visible and usable. As always, ensure you’ve set up a proper Dynamics AX TEST environment first, and that you are familiar with the impact of your DIXF actions before you perform them in PROD.